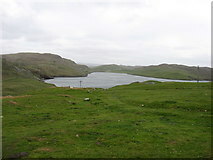 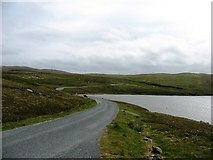 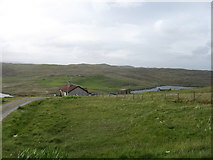 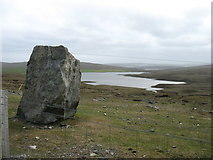 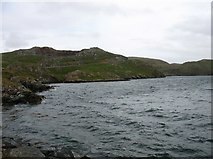 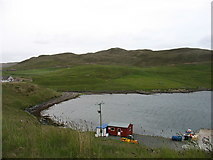 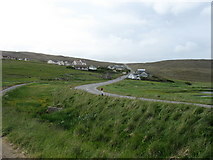 A further drive on Shetland Mainland north of Mavis Grind - apart from the last two photos, taken on the drive to Lerwick and the ferry for Aberdeen. 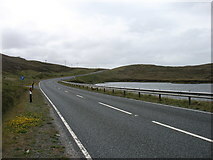 The A970 is in the slight dip about 250 metres ahead. 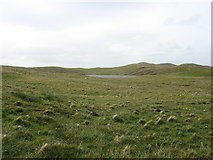 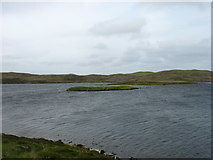 Passing Smirnadale Water on the right. 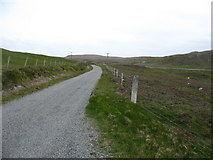 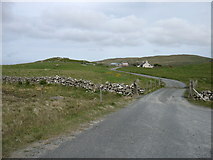 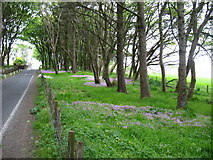 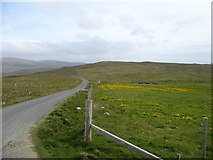 The A970, heading south for Mavis Grind and Brae, can be seen on the right. 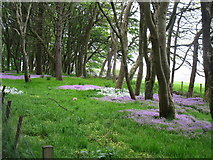 Interesting colours in the low plants to the right.